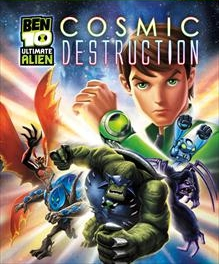 The Xbox 360 Games on Demand version of Ben 10 Ultimate Alien: Cosmic Destruction was last confirmed available on February 2nd, 2016. This is the last Archive.org capture but based on the collective delistings of Ben 10 titles published by D3 Publisher, it was likely removed between September and October of 2016. The game was also likely delisted from the PlayStation Store for PlayStation Portable around this time. The delisting of D3’s titles in Autumn 2016 is presumably due to the expiration of the publisher’s license to the Ben 10 property. Almost exactly one year later, in November of 2017, publisher Outright Games and developer Torus Games would release Ben 10 on Nintendo Switch, PlayStation 4, and Xbox One.